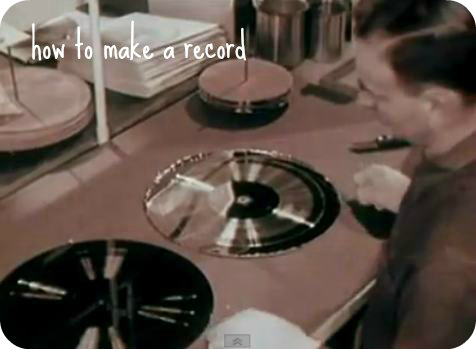 I’ve posted an unreleased vintage promo film from a record company before, but this one is purely dedicated to the process of how a vinyl record is made (no Dean Martin cameos here, kids), and told in a detailed way. It was made by RCA back in 1956, and it makes me want to find a pressing plant to visit. Are there any in Ontario? I really should do that.